From in game, mouse over the profile icon on the top right corner, then select your profile name. From the UNIT drop-down, select Custom. 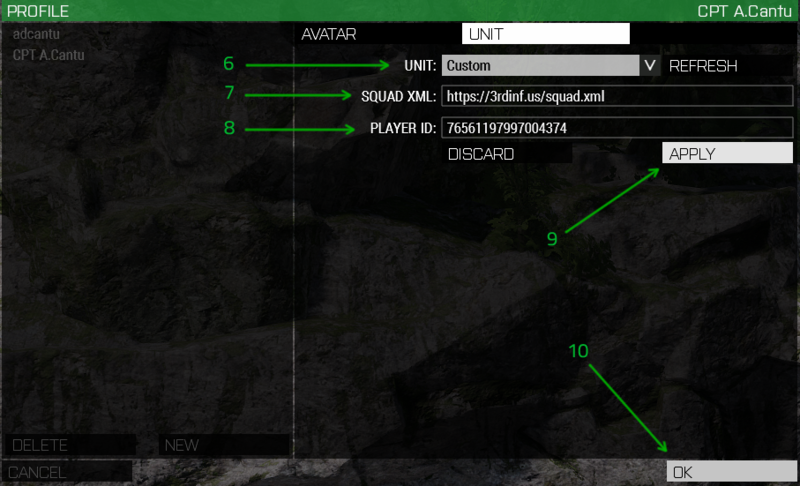 You can verify it is working by joining a server, opening the map, and viewing the players list. Unlike most BMO management functions, squadXML is not managed from within AdminCP. Most functions are self explanatory. Click to add a new solder to the XML. Click to Edit the existing soldier. Click to Delete the existing soldier. 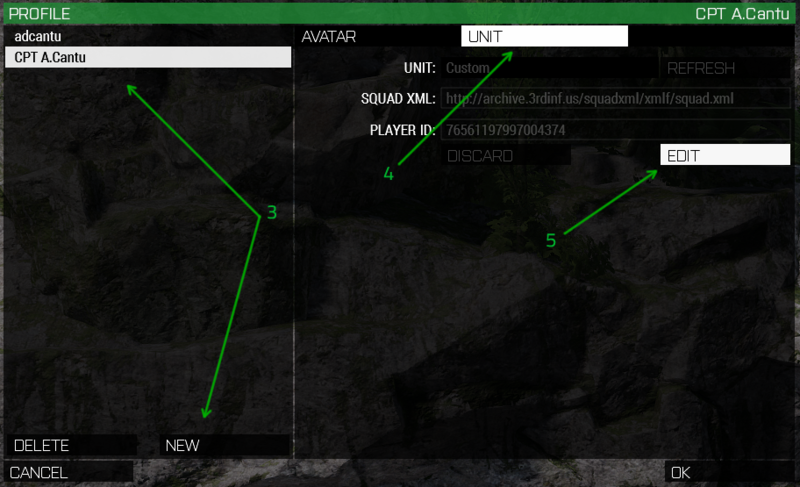 From the list view, the titles don't make much sense, but they are required to be written in this fashion by Arma3. 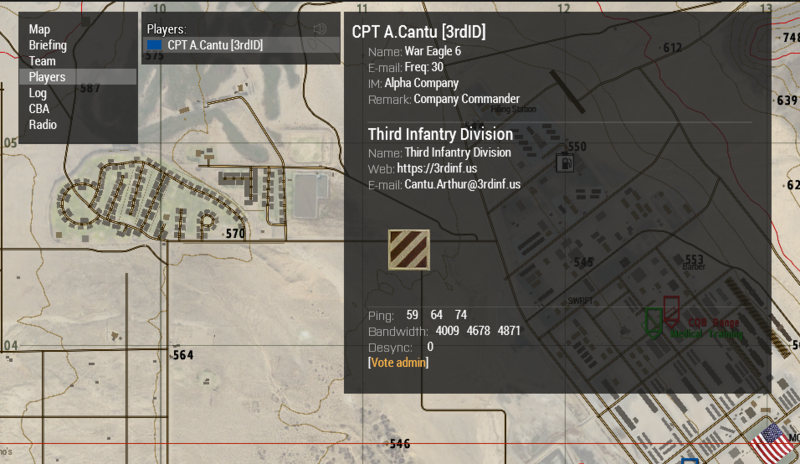 NAME = Call Sign used in game. Edit and Create functions look exactly the same, although Edit will populate the existing data.